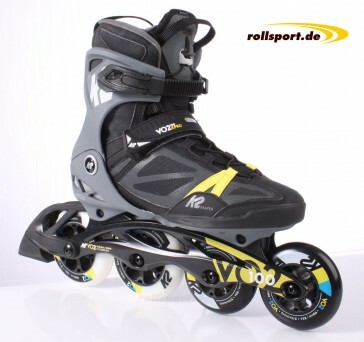 K2 Vo2 100 X Pro Skates in multicolor - even in the new year the classic K2 Vo2 100 X Pro is back in the program. As usual with 2x 100 mm wheels at the rear, 2x 90 mm wheels at the front, as well as ILQ 9 Classic Plus ball bearings. The top skate of the K2 leisure and fitness collection - as usual with a VO2 Hi-Lo frame(2x90mm front and 2x 100mm rear) and a strong ILQ-9 ball bearing. The skate is again equipped with the Vortech ventilation system and the VO2 Cuff. The Vo2 100 is also equipped with a quick-lacing system in combination with a ratchet fastener and a Velcro fastener. Which track was installed on the Vo2 100 X Pro? The composition with 2x 100 mm and 2x 90 mm rolls finds its meaning in the Hi-Lo system. 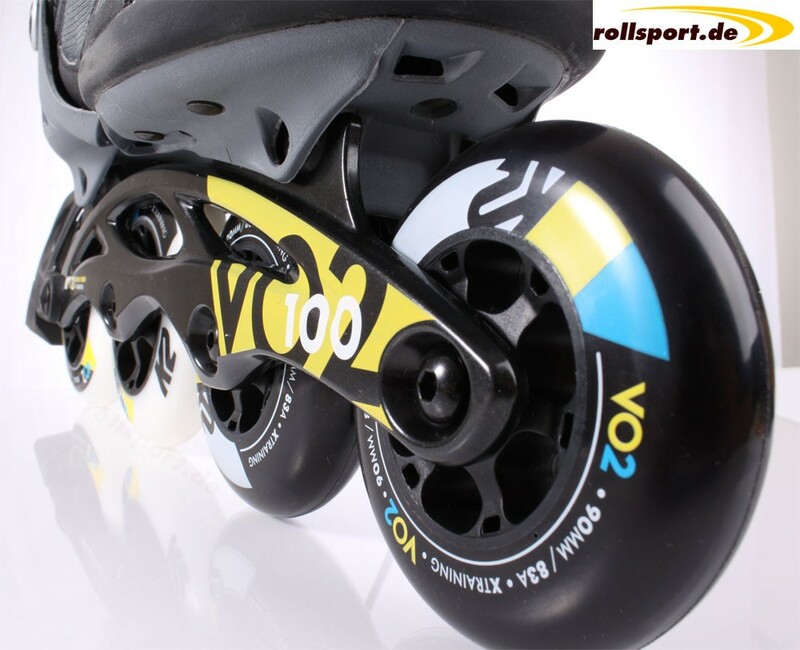 The Hi-Lo system is intended to make the skate man agile despite the high roller size and long track length. This is achieved by the displacement by 2x higher rollers at the rear and 2x smaller rollers at the front. 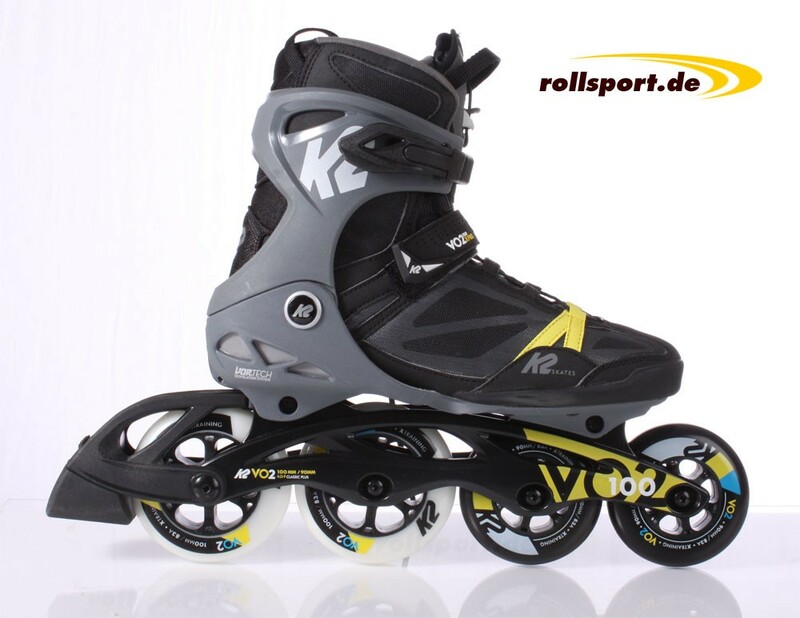 When compared directly to a 4 x 100 mm inline skate, this is also noticeable.